Share Your Wedding Story With us! Many brides who are getting married are not just looking for information on a specific subject but they also want to read what other brides or brides to be have to say on the subject. If you have something you want to share click on any of the links below to share your wedding story with us and all the bride to be who are planning their wedding and looking for wedding ideas! Come back often as we will add other areas where we are looking for your stories and advice! If you have some general wedding planning advice or stories this is where you are going to want to share it. 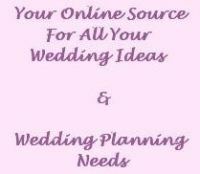 This is where you want to share all of your wedding planning advice, wedding ideas and wedding stories. Your advice and stories should either be based upon your own experience or on people you know, like your family and friends. Sometimes one of the ways we learn how to plan our own wedding is by looking at the things that went well at other weddings as well as the things that went wrong! We have a page on the site about black and white wedding cakes, how they can go with just about any wedding color scheme and how they make your wedding a touch more modern. You can check out the page and share your own thoughts with us. If you have chosen this type of cake or even if you have not, we want to hear from you! Tell us about what your cake will look like, or did look like or what your ideal wedding cake will be. If you have a photo, feel free to share it! You can read our page about gothic wedding dresses and add your own insights and opinions. Would you ever wear one, have you ever been to a gothic wedding? You can describe the perfect gothic gown or add a photo! Again You can read the article and check out the photos on the page and let us know what you think. There was a time when no bride would ever consider this type of dress, but times have changed and this dress is becoming more and more popular. What do you think about it? Share your wedding story here. Sometimes going short is not enough. The dress still needs to be able to handle a warm, outdoor weather. With so many beach weddings these days, beach wedding dresses has become a whole new and important wedding dress category. If you wanted to share something about your upcoming beach wedding, beach wedding dress or a beach wedding you have gone to please do. We would love to hear what you have to say! Many brides not only have beach weddings, they have destination weddings and wear specific wedding dresses for the occasion. Sometimes the dress is a short wedding dress or a beach wedding dress and other times it has a little added flair  something that is specific to the locale of the wedding. If you are wearing this type of dress (or would like to), are having a destination wedding, have ever been to one or just have your own thoughts on it we would love for you to share them with everyone else! Share your wedding story with everyone.